The Mansion Planter was designed by the Japanese design firm Pull + Push. 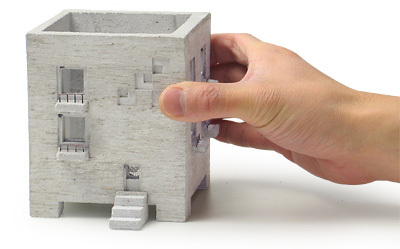 An apartment building reproduced in miniature form makes for a unique indoor planter. The Mansion Planter is literally the most unique home for small indoor plants. 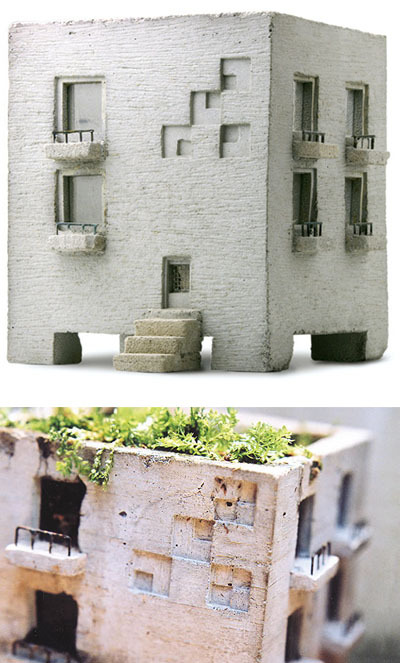 Designer Nobuhiro Sato designed this unique planter to resemble a realistic small-scale apartment building, as known as a Mansion in Japan, complete with windows, balconies, handrails, stairs and, of course, a rooftop garden. The Mansion Planter is constructed of durable mortar, glass and brass.